The innovative, eyepiece-size SBIG ST-i camera is aimed at both entry-level and advanced amateur astronomers. Unlike other autoguiding cameras, the ST-i includes a mechanical shutter, providing greater sensitivity and more accurate guiding as users can now automatically capture and use dark frames while autoguiding. The camera can take exposures as short as 0.001 seconds and focus at up to 21 frames per second. It will download 16-bit images at up to 12 frames per second, allowing users to extract finer detail with higher dynamic range than 8 bit cameras, especially when doing planetary imaging. 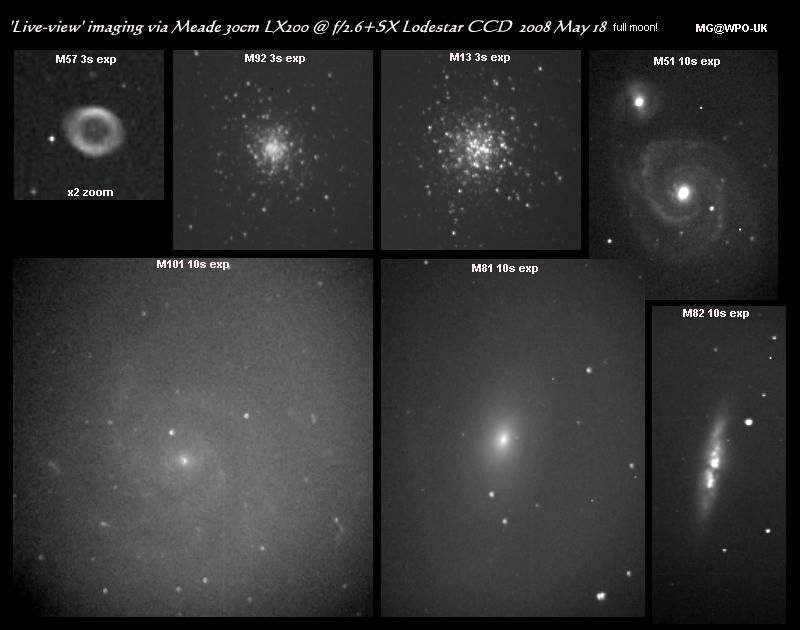 Recognizing that many astronomers begin imaging with DSLRs and video cameras, SBIG is also bundling the ST-i with software that can be used by any imager regardless of whether they use a CCD camera or DSLR for imaging. The ST-i comes with fully functional versions of Software Bisque’s The Sky version 5 and CCDSoft, versions 5. Combined with SBIG’s own CCDOps and PlanetMaster software for high resolution planetary imaging, this bundled suite of imaging and planetarium software provides customers with a powerful and comprehensive set of tools. 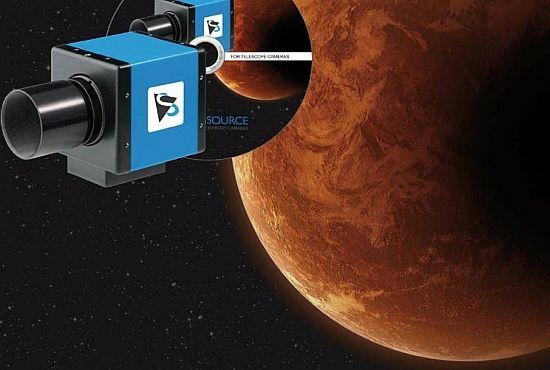 The imaging software suite not only supports the planetary and autoguiding functionality of the ST-i but also provides a comprehensive planetarium, telescope control and image processing solution. Lightweight – only 2.2 oz. Are you ready for the Starlight Xpress Lodestar Autoguider? Although the Lodestar is primarily intended as a high performance guider, it makes a superb electronic finder and planetary imaging camera! You won’t believe what this little baby can do. With its ICX429AL Sony Exview interline CCD with low dark current and vertical anti-blooming, it can produce an image format of 752 x 580 pixels with a image area of 6.4mm (Horizontal) x 4.75mm (Vertical). We’re talking Grade 1 quality here and the ability to do far more than just autoguide your CCD camera. The image you see accompanying this paragraph is a 600 exposure taken by Maurice Gavin of Centaur Eris at magnitude 18.75 – a remarkable achievement! Put the power of a Starlight Xpress Lodestar Autoguider behind your imaging system and you’ll get a spectral response of QE maximum at 620nM (~65%), 35% at 400nM and 770nM . This means readout noise of less than 15 electrons RMS – and typically only 10 electrons. The Starlight Xpress Lodestar Autoguider will give you a full well capacity of greater than 50,000 e- (unbinned) and an anti-blooming overload margin greater than 1000x. Dark currents? The dark frame saturation time is greater than 1 hour – less than 0.1 electrons/second @ + 10C ambient. Need more to convince you? Then know the Starlight Xpress Lodestar Autoguider is USB powered and has a built-in USB 2.0 compatible interface. It’s typical image download time is 0.2 seconds at full resolution using USB 2.0. 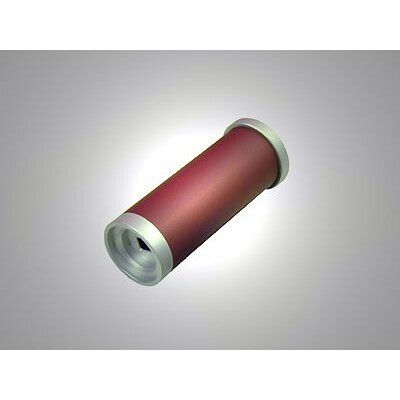 It’s ambient air cooled, so all you need to do is slide this 32 x 72mm black anodised aluminium barrel into the focuser and start imaging… Even “live” during a full Moon! Size: 32 x 72mm black anodised aluminium barrel with 25 x 0.75mm ‘C mount’ thread at the CCD window end & input/output plugs at rear. Sony ICX274 CCDThe ICX274AL is a diagonal 8.923mm (Type 1/1.8) interline CCD solid-state image sensor with a square pixel array and 2.01M effective pixels. Progressive scan allows all pixels’ signals to be output independently within approximately 1/15 second, and output is also possible using various addition and pulse elimination methods. This chip features an electronic shutter with variable charge-storage time which makes it possible to realize full-frame still images without a mechanical shutter. Further, high sensitivity and low dark current are achieved through the adoption of Super HAD CCD technology. Applications: Still cameras which require high resolution, etc. USB 2.0 and Ethernet: Both USB 2.0 and Ethernet will be available on each STX camera. The user will not have to choose the interface at the time of purchase. The STX cameras will have the same convenient I2C AUX port that SBIG uses on the ST and STL cameras for power and control of accessories such as filter wheels and Adaptive Optics, and will operate from any unregulated 12VDC source. 12VDC Operation: In similar fashion to the STL cameras, the STX will internally regulate a 12VDC supply so that the camera can be connected directly to any unregulated 12VDC source such as a car battery. The SBIG STX camera will have 4 power LEDs that will indicate if the supply voltage drops to 11, 10 or 9 volts and when it is “good.” Operation of the camera is possible with a supply voltage of 9.1 to 14 volts DC. Full Frame Image Buffer: The STX series cameras will have a full frame image buffer for storing image data during download. The STX will be able to image during download process. We are exploring the possibility of using this buffer for pre-processing pixel defects based on a defect map provided by the CCD manufacturer, at the user’s direction. Multiple A/D Channels: Having multiple A/D channels available makes a number of things possible. For instance, the STX cameras will be able to download and guide, or guide with two guiders all at the same time. Guiding can continue uninterrupted using the Remote Head during an autograb sequence, or an automated LRGB sequence, just as it would if you were using a separate camera or autoguider independent the camera. Improved Cooling: SBIG engineers have modeled an optimum cooling design for this camera using a large custom pin grid array heat sink mated directly to the hot side of the 2 stage TE cooler to achieve maximum heat dissipation with a single large fan. Even-illumination Shutter: Starting with the first ST-7 camera, SBIG has incorporated an even-illumination shutter for taking short exposure flat field frames on all self-guiding cameras. However, the rotating disk design becomes rather large with ever increasing CCD sizes. Therefore, a new shutter design will be introduced with the STX series that reduces the overall size and weight of the camera body, while maintaining even illumination on short exposures with large CCDs. Variable Speed Fan Control: If the user desires air cooling only, the fan speed is controllable through software. Variable speed control allows the user to “tune” to fan to eliminate any resonance with the user’s telescope thus suppressing harmonic vibrations. Focusing Mechanism of Tracking CCD: As CCDs get larger, the tracking CCD is moved farther off-center from the optical axis. This can result in out-of-focus guide stars. 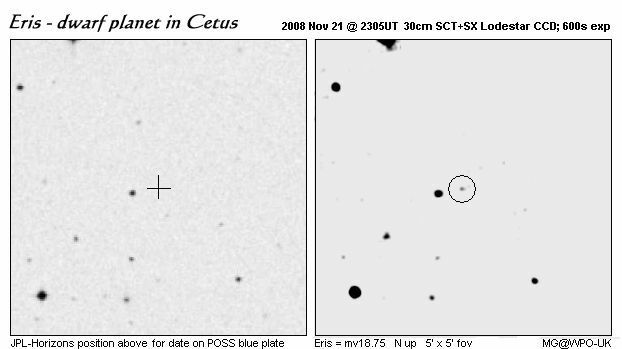 In order to compensate for different telescopes and different tracking CCD locations, the built-in guider will have a small, user accessible, focus adjustment for the tracking CCD. Once this is set for a particular camera and scope combination, it will not be necessary to change it. Opto-isolated Relays for Telescope Control: These isolated relays will not require an external Relay Adapter box or other opto-isolator to work with virtually any telescope mount that accepts autoguider inputs for guiding control. Tracking Relay LED indicators: This handy set of 4 LEDs will tell you at a glance if the camera is issuing corrections to the mount in +X, -X, +Y or -Y directions during an imaging session. Adaptive Optics and Filter Wheels: Due to the sizes of some of the planned CCDs, a new AO and Filter Wheel will be designed for the STX cameras. Filters for most of these chips will need to be larger than 1.25″. Some need to be larger than 2″ or 50mm round. The KAF-16803 image sensor is a redesigned version of the popular KAF-16801E image sensor (4096 x 4096 pixel resolution) with enhancements that specifically target the needs of high performance digital radiography applications. Improvements include enhanced quantum efficiency for improved DQE at higher spatial frequencies, lower noise for improved contrast in areas of high density, and anti-blooming protection to prevent image bleed from over exposure in regions outside the patient. Utilizing Truesense’s proprietary single gate ITO process and micro-lens technology, the KAF- 16803 image sensor with its large imaging area and small pixel size provides the sensitivity, resolution and contrast necessary for high quality digital radiographs. To simplify device integration, the KAF-16803 image sensor uses the same pin-out and package as the KAF-16801E image sensor. From the intricacies of microscopy to the far reaches of astronomy, Truesense Full Frame CCD image sensors deliver high performance results. With outstanding quantum efficiency across the visible spectrum, these sensors are ideal for demanding imaging applications that can accommodate a mechanical shutter or strobe illumination, such as electronic still photography, medical X-ray, and inspection. No compromises. The new mid-sized STT Series cameras offer features and specifications found in no other astro camera – of any size. Drawing on all of our previous experience and the best of each of our previous designs over the years, the STT represents the culmination of everything that the amateur has asked for in an imaging system, packed into a 4.9 x 4.9 x 2.9 inch body. Standard features include: Two-stage cooling with a temperature delta greater than -50C with air only; water cooling ready; USB 2.0 and Ethernet on every camera; full frame buffer; fast low-noise readout of an 8.3Mp CCD in less than one second; MAR coated sapphire chamber window; internal user selectable automatic image processing; self-guiding in front of filters; remote guide head support; optional adaptive optics; and more. A new filter wheel design for the STT series sets it apart from other designs. The carousel holds eight 36mm filters and inserts are available for 1.25″ filters. Two new unique features make this an imager’s delight: First, the design incorporates a self-guiding CCD in the filter wheel cover so that light from the guide star is captured before passing through the filters. An optional filter wheel cover is available for wide angle imaging with Nikon or Canon 35mm camera lenses, or for anyone who does not need or want the built-in self-guiding. Full sets of 36mm LRGB and Narrowband filters by Astrodon, Baader Planetarium and Astronomik are available for unvignetted imaging at any f/ratio. The second unique feature of the STT filter wheel is a positive centering mechanism that precisely re-positions and firmly holds filters in exactly the same position over the CCD every time, regardless of a loss of power or intervening movement of the filter wheel. In our tests of the new design, using an STT-8300, the re-positioning of the filters was accurate to better than 5.4 microns after several complete rotations of the filter carousel. This degree of precision means that flat fields taken after the filter has moved and returned are accurate to a single pixel. An example of the improvement in flat fields with this kind of precision is demonstrated in the comparison images below. The STF-8300and STT-8300 is the first astro-cameras available with the ability to automatically clean up raw images with user-selectable automatic image processing! By selecting the level of hot pixel removal or even column repair, the user can obtain exceptionally clean images without any other image processing required. To illustrate, the 30 second dark frames, below, were taken at room temperature to accentuate the number of warm pixels. The first frame is unprocessed; the second frame has a medium filter, and the third frame the most aggressive filter. Each shows fewer bright pixels and each has corresponding lower noise in the image. The user can select from eight levels of filter strength to suit his needs. The KAF-8300 CCD has very low dark current, even at room temperature. Cooling the CCD reduces the dark current by 50% for every drop of 5.8 degrees C of cooling that is applied. Kodak specifies a dark current of less than 200 electrons per pixel per second at +60 degrees C. Extrapolating we calculate that at -15C the dark current is approximately 0.02e-. Our tests of the 8300 CCD in production cameras confirm this extraordinarily low dark current at typical operating temperatures. Another desirable characteristic of the KAF-8300 CCD is its relatively high Quantum Efficiency (QE). Microlens technology is used to focus more light on the sensitive area of each pixel, increasing the effective QE of the 8300. Many nebulas emit a great portion of their light in the red portion of the spectrum, particularly at 656nm, the wavelength of H-alpha light. Other objects such as stars and galaxies emit a great deal of energy in the near IR. According to the KAF-8300 spectral characteristics, this CCD’s sensitivity is spread well across the visible portion of the spectrum and into the near IR with a peak of nearly 60% at 550nm and still 50% at 656nm. It is as sensitive at 850nm as it is at 350nm. This is quite a broad range and explains the CCDs popularity (and success) in astro-imaging. The guider port on the STT-8300 is the same as on our other cameras, using a modular telephone type 6-pin jack to connect the STT-8300 to the user’s mount when using the camera as an autoguider. The internal relays used in the STT-8300 design are opto-isolated, so that no external relay box is required with any mount if the camera is being used as an autoguider or if it is being used to control the telescope in Track & Accumulate mode.